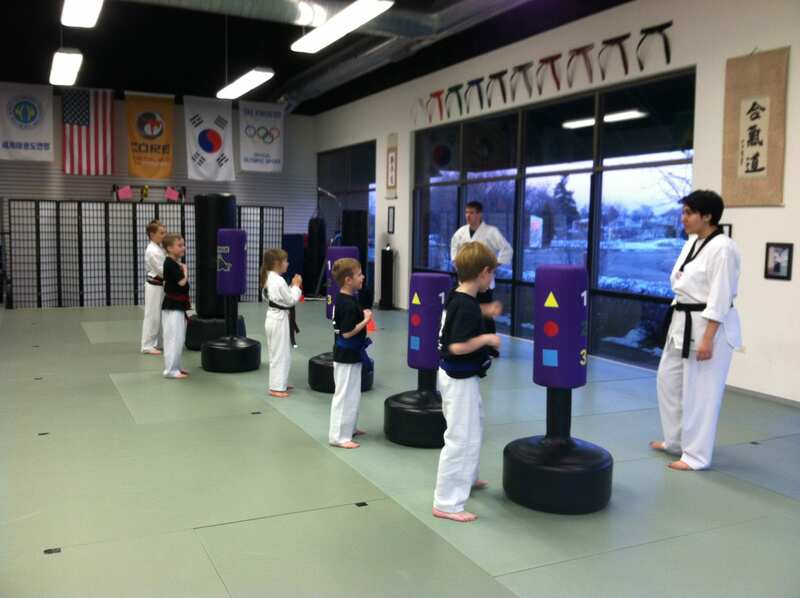 CORE Taekwondo Classes are offered to students from the ages of 3yrs all the way up to adult. Most students join a martial arts school with the goal of earning a black belt. However, the reality is that most students who set out to obtain black belt status will give up before accomplishing their goal. There are many reasons for this reality, and some of the most common are a lack of motivation both internally and externally; as well as a lack of proper understanding about the time commitment it takes to earn a black belt. At CORE we pride ourselves on offering a program with clearly defined criteria and resources available to ensure the ability for one to truly earn a black belt. 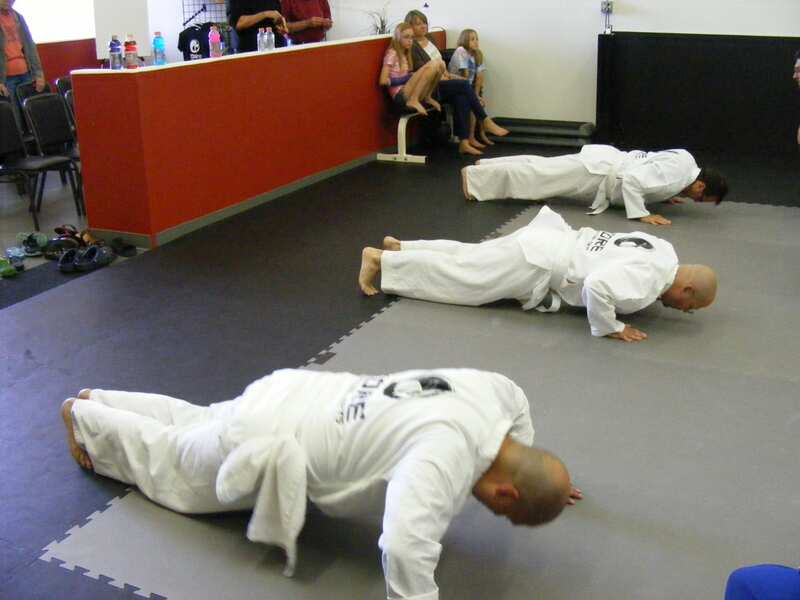 Our comprehensive curriculum is top notch in producing well-rounded martial arts students. In order for a student to advance in belt rank they must demonstrate proficiency in Form Display, Kicking and Boxing Combinations, Monthly Themes, and also meet character based requirements. We teach only Official Taekwondo Poomsae (Forms) approved for state and national competitions. Kicking and Boxing Combinations consist of techniques developed in house by CORE Instructors. Monthly Themes vary from scenario based self-defense methods utilizing techniques from various martial arts to weapons training or group demonstrations. Our character based requirements consist of recognizing and rewarding positive behavior at home and academics. In addition to martial art training, our program also provides children with an environment that helps foster character building qualities such as courtesy, respect, and discipline. The qualities that a child must learn to succeed socially and academically are constantly reinforced throughout their progress in our program. Qualities such as the ability to make focused eye contact on speakers, thoroughly follow directions, see things from others perspectives; as well as developing an acute awareness of bullying behavior and stranger danger are among the many we teach. When it comes to bullying in our society, we teach our students the difference between physical and emotional assaults, and how to appropriately react to any situation they find themselves in. The best outcome involving a bullying situation is always the non-violent one, and the use of force in self-defense is always treated with the utmost prevention, and the utmost caution if necessary. At CORE our students learn how to train their minds just as much as their bodies in dealing with a threatening situation. We know that in order to teach children you must strive to understand children. Around the ages of 7-10 children are beginning to rapidly form their own opinions in regards to life around them, and peer pressure begins to take a greater hold on their decision making skills as well. While these changes can sometimes be undesirable, they are nevertheless unavoidable. It is the awareness of these changes, and the belief that children are still naturally receptive to the presentation of life lessons that makes our martial art program integral to their lives throughout this period of adolescence. All classes are taught using the most effective teaching methods available for their respective age groups. In order to provide a quality learning environment our classes are limited to a 20 student maximum per class. Parents must pick their class based on the availability of space within. Please schedule a time to visit our location and try a class today!